Totally Tiki! There will be no question of the theme surrounding this private bar. Everyone is welcome at the "Tiki Lounge". 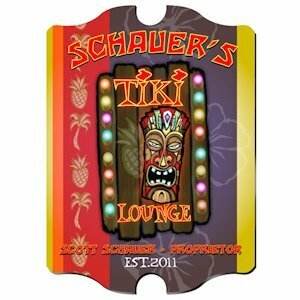 This personalized sign explodes with color and rich tropical imagery. 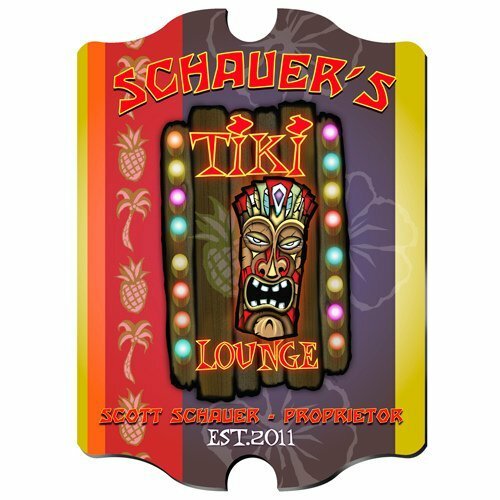 If you provide the first and last name of the proprietor along with the year of establishment, we will customize the full-color design to highlight the recipient's appreciation of the Tiki Lounge.